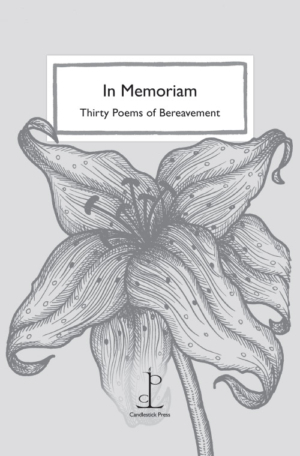 This second edition of our much-loved anthology contains poems of bereavement selected for their beauty and for the sense of consolation that they offer. There are poems that question and mourn, alongside others that accept the inevitability of death and give thanks for a life well lived. Poems by WH Auden, Laurence Binyon, Robert Burns, Catullus, Billy Collins, Wendy Cope, Emily Dickinson, Sasha Dugdale, Paul Durcan, Johann Wolfgang von Goethe, Lorna Goodison, Thomas Gray, Matthew Hollis, Jackie Kay, Faith Lawrence, John McCrae, Derek Mahon, Sue Millard, Adrian Mitchell, Peter Porter, Corinne Roosevelt Robinson, Michael Rosen, Christina Rossetti, William Shakespeare, Penelope Shuttle, Edna St. Vincent Millay, Dylan Thomas, Mark Twain and Anna Wigley. Cover illustration by Lizzie Adcock.